great book by Holiday for holiday. 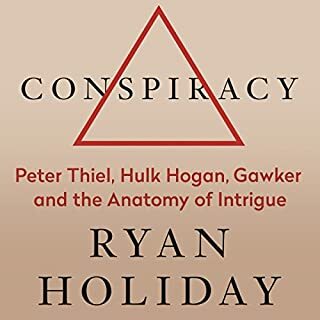 great exploration of the moral, practical, and historical use of conspiracy. Holiday wrote with insight and fluidity. It's not what you think - in a GOOD way! 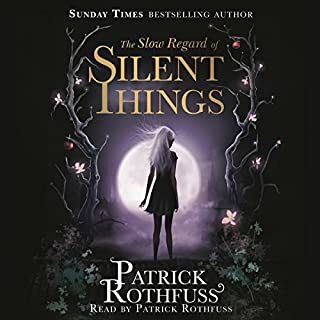 What did you like most about The Slow Regard of Silent Things? Beautiful use of language - the book sparkles with description and elegant sentences. It's clear Patrick really connects with the story - his prologue confirms this. What also capitured me was the connection with "things", it made me pause and regard my world differently - which we should all do! What was one of the most memorable moments of The Slow Regard of Silent Things? What does Patrick Rothfuss bring to the story that you wouldn’t experience if you had only read the book? That his speech style is so clearly pronounced within the writing style. obvious really but it gives me a new regard for his writing - and clear why he connected with this story so deeply. Just read this book with an open mind! ENJOY!